With two weeks to go, the WWE Capitol Punishment card is starting to finally fall into place. Randy Orton’s opponent was announced at the SmackDown taping and I can’t imagine many people being disappointed with this matchup. The following blog contains SmackDown spoilers for this week’s show. Stop reading now if you want to avoid the spoilers. Randy Orton vs. Christian will complete their WWE world heavyweight championship trilogy at Capitol Punishment. Teddy Long made the match official at the SmackDown taping. The rematch really shouldn’t be a big surprise after the events of last week. However, the match puts rumors to rest of a Triple Threat Match involving Sheamus at least for the time being. According to numerous reports, Christian started SmackDown with a promo explaining last week’s actions. 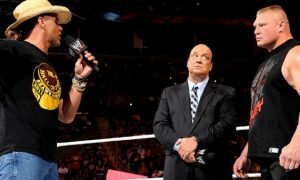 Christian confirmed his heel turn by saying that he was through with the fans. A few readers last week expressed to me that they felt I was incorrect at reporting a full heel turn for Captain Charisma. This puts that argument to rest. Christian also referenced the reaction on the Internet when he lost the title and said he didn’t understand why those same people are upset with him. I like that and it’s nice to see the WWE acknowledging something that happened out of their “universe.” All in all it sounds like Christian cuts a hell of a promo this week to fully cement his heel turn. Again, this brings up the point I made last week about SmackDown babyfaces. Now with Christian as a heel, you have no strong underneath babyfaces. Nobody on the current roster has been positioned to take that spot. Even with the need to fill that spot, Sin Cara couldn’t even get more than a DQ win over perennial loser Ted DiBiase this week. And you wonder why Sin Cara isn’t getting over? The only one that even comes close to the push is Ezekiel Jackson and he even lost at the last pay per view. I love Christian as a heel but they really need to do something to even it up. 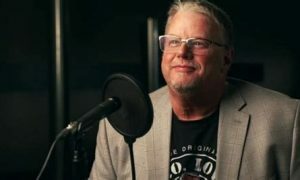 Some defenders of the WWE have expressed the idea that the Christian heel turn was unplanned and that the company deserves a little slack for the weak roster. I completely disagree. Christian was heading towards a heel turn with Edge before Orton even came to the roster. The SmackDown writers have had over a month to establish someone else as a top babyface and have failed to do so. 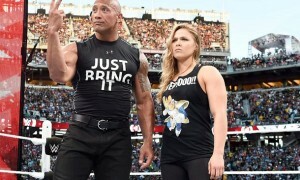 It’s a world of parity of SmackDown which has to change at some point or the brand may as well just dissolve. Anyhow, Randy Orton came out later in the taping for a promo. Christian interrupted him and the two exchanged words about last week’s incident. Christian told Orton he could have counted him out last week vs. Sheamus but he didn’t. Somehow the match is made during the promo and thus Orton vs. Christian for the WWE world heavyweight title at WWE Capitol Punishment is official. This still could turn into a Triple Threat Match. Sheamus vs. Orton in a non-title match closed out the show. Sheamus pinned Orton due to Christian’s interference. As the number one contender with a win over the champion, Sheamus quite frankly should wind up in the championship match. However, the WWE only has one more SmackDown broadcast before Capitol Punishment. 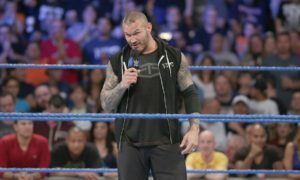 It would seem rather ridiculous to me for the WWE to announce a new main-event two days before the show (SmackDown airs on Friday nights) so my guess is that the match remains Christian vs. Orton. In my opinion Christian vs. Orton blew away everything at Over the Limit 2011 with their world title match. I would even argue that they put on the match of the year thus far. They have only wrestled twice yet both matches have been excellent. I have never been a big Orton fan but he has really shown me a lot in this program. I can say the same for Christian. I can’t recall being this excited for a WWE championship trilogy in many years. 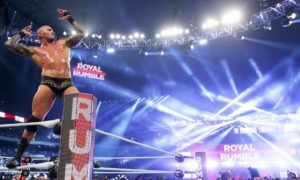 Check out the rest of the SmackDown spoilers on WrestleChat.net.